To start building your text message marketing list, include a brief opt-in code, or “Text ‘Start’ to this number” on all your existing marketing and customer communications- flyers, print ads, business cards, invoices, receipts, coupons, in-house signage, vehicle signage, website, emails, social media, etc. Sign up with a CRM (customer relationship management) company, such as Signpost, which will track your subscribers, send out text blasts, monitor results and give you an opt-in short code. When sending out mass texts to your subscriber list, keep it brief and snappy! There’s usually a 140-character limit, but even besides that your customers have limited patience or attention span- as does everyone these days- so make the message heavy on “bold” and “underlined”-strength words. For instance, “$20 Off Air Conditioning System Diagnostic with Fritz HVAC!” or “Save 15% on Home Security System with Installation from Maystar Tech” or “Get a Free Furnace Tune-Up and Safety Inspection with Any House-wide GFCI Installation”. Use links within your texts to instantly connect your customer to your web page, social media page or YouTube video. Your text is very limited in size, but these other online marketing tools have a wide range of information and visuals to engage the customer. In addition to marketing to get new jobs, texting is very effective in the management of current client jobs. Send a text reminder about an upcoming service visit. It’s a great way to assure that the customer is ready for your service man, and you can also reiterate any important facts about the job. When a project is all finished, that’s a great time to send a “Thank you” text, in which you can ask for a brief evaluation of your services to assess their satisfaction level, point out any future work they may want to get done, and link to an online reviewing site, and maintain a strong presence there. Remember, Text (or SMS) messaging is extremely cost effective. In other words, it’s really cheap! You hit a much narrower base of customers than with other marketing methods, but since they are all already “bought in” and invested, or at least open to receiving your messages, the rate of response and closing sales is much higher. The top platforms for sending business texts can cost as little a few cents per message. Bulk deals allow thousands of text messages per month for a very affordable flat rate. 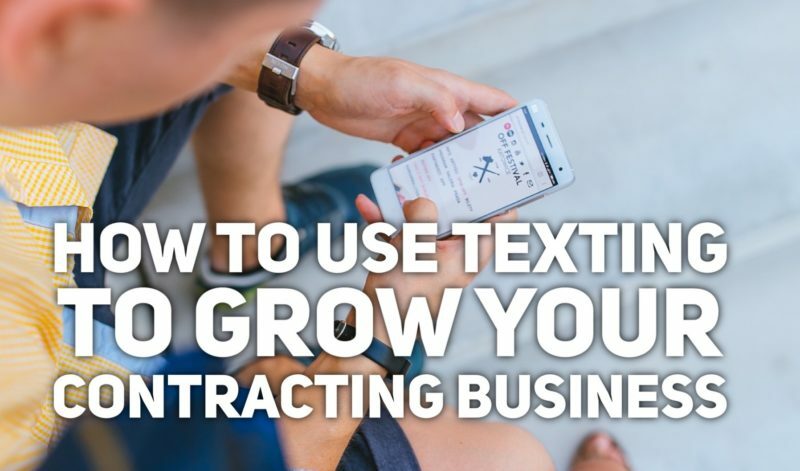 While it may be new to your marketing wheelhouse, for any enterprising contracting business owner, text messaging offers the best bang for the buck! To start using texting to grow your business, you can try our new field service software, jobi. Jobi comes with an app for homeowners to connect directly with contractors using several marketing tools including text messaging. 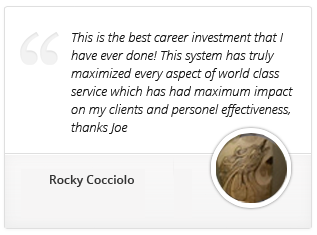 Try our 30-day free trial at www.jobi.pro/trial.